Largely unchanged since its opening in 1878, Providence City Hall has stood for less than half of Providence’s entire history. But the building has nevertheless seen its share, and holds within it the city’s past, a fact laid plain on the 5th floor and in the attic, where the city’s archives live. Some of Providence’s greatest treasures live here: our 1637 compact and 1648 charter, early town records, mob boss Raymond Patriarca’s first mug shot, old police uniforms, and an amalgam of other gems. Here in the archives, you’ll also find the clock mechanism that kept time across City Hall before the city got electricity. City Hall not only holds keys to the past but features a grand interior: a five-story, Beaux Art atrium is framed by grand staircases, marble inlays, polished granite columns and hand-carved wooden detailing. Explore the seat of the city’s government in this elaborately designed building. Travel through time as you dig through the archives and peek inside the attic of City Hall! 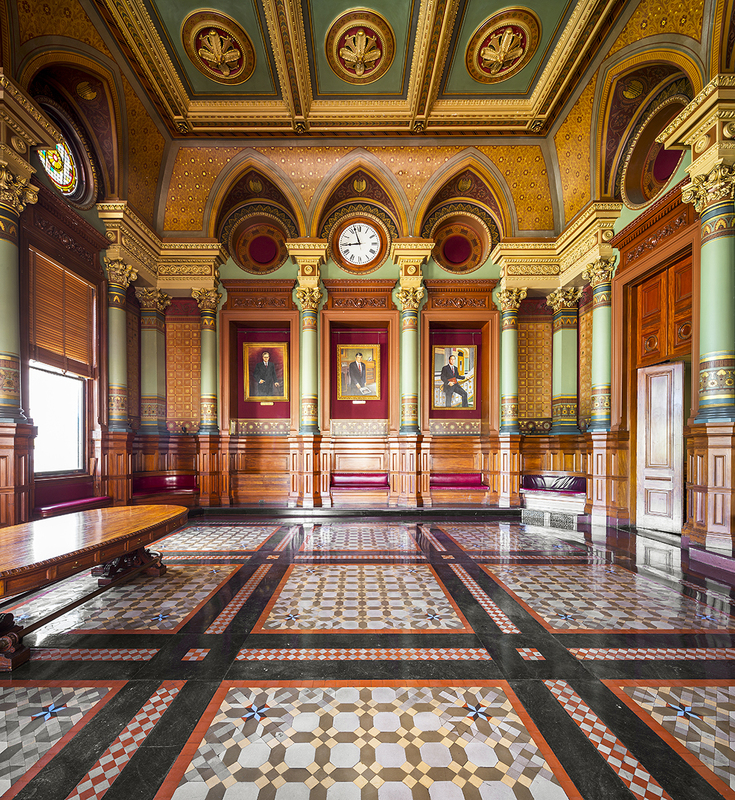 While you’re there, be sure to wander through the breathtaking Alderman’s Chamber where you’ll see portraits of past mayors. The Mayor’s office will be open to visitors from 11am-2pm. Lines expected for access to the attic and Mayor’s office. You will be asked to sign a waiver before climbing the stairs to the attic. Doors Open Rhode Island is made possible in part through the support of the City of Providence and the Department of Art Culture + Tourism.